We love it when the postman brings us a parcel, and when that parcel is a box of goodies from the guys at Bramley & Guage we know we are in for a treat! A small family business, Bramley and Guage’s main focus in on creating the highest quality, great-tasting liqueurs. In the mid 1980’s Edward Bramley Kain and Penelope Gage started experimenting in the kitchen of their South Devon farmhouse with strawberry, raspberry and blackcurrant liqueurs. The fruits came from their fruit farm and the recipes followed a ‘maceration’ method traditional in France. The liqueurs were a huge success and were soon available in local off-licences, delicatessens and tourist attractions. It was a great opportunity to experiment with different varieties of fruits and with the abundance of sloes in the hedges it wasn’t long before Bramley’s Sloe Gin made it onto the shops’ shelves too. After 10 years of farming soft fruit and making fruit liqueurs Edward and Penelope sold the farm and moved into a dedicated building with a small bottling line and larger scale facilities. They still insisted on sourcing the best-quality fruits as locally as possible and concentrated on producing the most flavoursome liqueurs achievable. Over the years the quality of our liqueurs resulted in us being given many awards from prestigious food and drink competitions, including Taste of the West, the Great Taste Awards, the Quality Drinks Awards, the International Wine and Spirits Competition. Now 25 years on son, Michael, and daughter, Felicity, run the business; still making the liqueurs in exactly the same way – in small batches giving the freshest flavours possible. That’s enough history…lets get on to the gin! This review focuses on their flagship product – 6 O’Clock gin. Being a family-run business, the name ‘6 O’Clock’ refers to a great grandfather who was an inventor, engineer and gin lover who would settle down with a gin and tonic at 6pm each day for some inspiration. First off, lets have a look at the bottle design. The glass is a stunning royal blue reminiscent of a big blue ink cartridge and gives this gin a real premium look. I also think the blue gives the bottle a real nautical feel in my opinion. The label bares a simple ‘6’ logo filled with cogs as a link back to the 6 O’Clock name and a simple declaration – “Strikingly Smooth”. The back of the bottle has little history of the gin and the brand as well as some tasting notes. Another nice addition to the bottle design is the glass bottle stopper – adding again to the premium nature of the gin by making it feel like a nice glass decanter**. The information on the back of the bottle states that this is a very juniper led gin and this is really apparent on the nose. The juniper is strong in this one piney and green. There are also lovely floral, summery undertones provided by the elderflower. I can also pick out the citrus of the orange and a slight earthiness from the Orris root. Taken with a splash of water and this gin really comes alive. The aroma of this gin becomes almost creamy with spicy hit from coriander. On first taste I can see why the describe this gin as “strikingly smooth”. Sweet juniper gives way to a strong citrus flavour ending with a light floral taste that lingers on the tongue. I then made up as a G&T using my tonic of choice, Franklin and sons. This creates a very clean drink with plenty of juniper at the front and a nice citrus bite at the end. It creates a very balanced G&T with juniper firmly to the fore – it would go down well on a summers day with plenty of flavour and character. 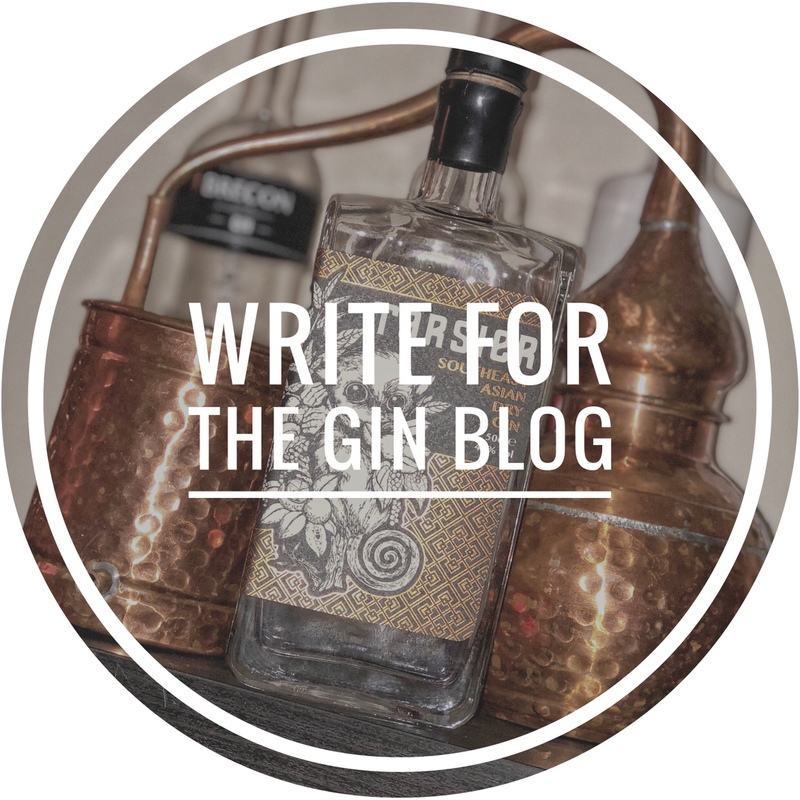 Bramley & Guage also make their own tonic to pair with this gin – keep your eyes peeled for a review on this coming in the next few weeks as part of our tonic review series. In conclusion this is a lovely, light gin with some quite interesting flavours. Most notably the Elderflower which gives this gin a lovely floral aroma and taste. I know what gin I shall be putting in my 6pm tipple from now on! ** Be careful when opening the bottle… The stopper on mine got a little stuck and so I managed to spill a little when I opened it! Top tip for the glass stopper (having learned from experience) – rather than grip and pull like a cork style stopper, push up with your thumb in one spot more live a champagne cork. It should lift up with ease. Thanks for the tip Lorien! Just treated myself to some of their 5 year aged sloe gin. It will be sipped very slowly given the price of it!